During our recent trip to the BlogHer conference in Los Angeles, we compiled a wealth of information on how to utilize each visual social media platform to create brand awareness and trust. To kick off this series, we'll delve into some best practices and tips for making your Instagram account shine. Instagram is simple enough, or so it seems. You might think it's easy to just upload a photo and add a hashtag, but there is more depth involved if you truly want to master your Instagram account. Grum is a tool that allows users to post to Instagram directly from a computer and schedule posts for the entire week. If you're looking to get to know your followers, Instatrack is an app that lets you see not only your followers, but also unfollows, top supporters, and ghost followers (those who do not post, comment, or otherwise interact on the platform). Just one link is allowed in your Instagram bio, and Shortstack ensures you make the most out of it. You can easily direct traffic to marketing campaigns you create using simply drag-and-drop functions. SocialBakers is another tool offering free statistics and analysis for Instagram. Learn which images, hashtags and even filters are performing the best. By paying attention to these stats, you can gain a whole new understanding of your audience and connect with them more personally -- which brings us to our next point. At the conference, we sat down with Brandi Jeter, founder of Courage to Earn and BlogHer social media manager, to get her two cents on Instagram success. "We have the most engagement on Instagram," she said. "We tell stories of our community -- not super polished photos -- but photos that depict the everyday life of our members. We repost pictures, make friendships, and most are regular attendees. BlogHer is a person, and we have an Instagram account for her." Her words echo the findings of a recent study by Forbes: "Personalization drives results." eBay’s Instagram page is also a good example of this. It showcases current trends and styles while also focusing on finding your own perfect. Gone are the days of generic and impersonal advertising. Social media growth is now founded on connection. Now the next question is -- what time does your audience want to connect? Do you give any thought to timing before you post to Instagram? Different sources have reported different findings in response to this question, with some naming 2:00-5:00 p.m. as the sweet spot for engagement. Others have found that after 5:00 p.m. is best on Mondays, while 5:00-6:00 p.m. is best on Wednesdays. The Latergramme team believes that people tend to procrastinate at the end of the work day and end up on Instagram, making 5:00 p.m. a common finding in these studies. Keeping these guidelines in mind may help you boost post engagement, but don't rely on these stats too heavily. Your own analytics can provide even more clarity for your particular demographic. A lot of users forget that Instagram can be as interactive as Facebook or Twitter. Instead of simply posting photos and waiting for responses, reach out directly and be proactive. First, remember that you can mention other users in captions with the "@" symbol. If you see an Instagram photo that you know a particular user would like, send it them directly using the arrow icon. Lastly, you can tap into what your followers like by clicking the "following" option. This can provide great insight into the kinds of content your followers enjoy most. Building a community is a gradual process, often riddled with challenges along the way. 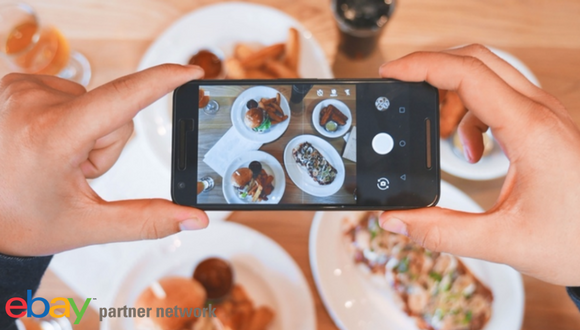 Whether you've yet to master Instagram fame or you're an expert seeking an additional boost, implementing some of these ideas can propel your brand to greater visibility. Leave your tips in the comments below and don’t forget to follow EPN on Instagram!